SAN JOAQUIN, Corozal District, Thurs. June 29, 2017–Two men were chopped in San Joaquin at about 3:00 this morning near the village’s fiesta grounds. Omar Mario Gonzalez, 21, a farmer of San Joaquin who is originally from El Salvador, was chopped in the back and in the back of his head, and died on the scene, while his companion, Doniver Armoldo Ruano, 20, also of San Joaquin, was chopped in the right side of the neck, but he was able to escape. Their attacker, then ran away. 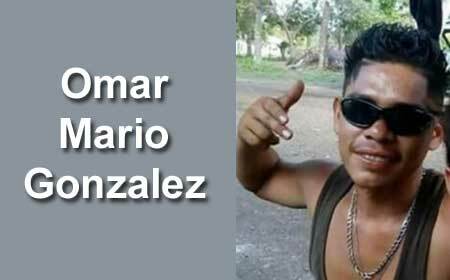 Ruano was able to alert police, who were on patrol, and both victims were taken to the Corozal Town Hospital, where Gonzalez was declared dead on arrival while Ruano was treated for his chop wounds and was later released. Police told us that Gonzalez and Ruano were walking home when, upon their arrival at the junction, of the Philip Goldson Highway and the road to the fiesta grounds, they were approached by a man who began an argument with Gonzalez, and as he (Gonzalez) was walking away, the man took out a machete from his pants and chopped Gonzales, and then chopped Ruano. Police said that they do not know the motive for the deadly machete attack. The investigation into the murder has begun and police are searching for the suspect, who is known to them.